A group of artists have won a landmark victory over the Happy Birthday song. A California judge ruled that the copyrights to one of the world's most popular melodies is invalid. As a result, Happy Birthday enters the 'public domain' while a multi-million dollar licensing business is destroyed. Starting today everyone is free use “Happy Birthday” without having to pay a license fee, as a California federal court ruling suggests that the popular song is now the public domain*. The ruling comes from District Court Judge George King in a dispute between several artists and publisher Warner/Chappell, which claimed to own the copyrights. Warner made an estimated $2 million per year in licensing fees from the melody that was originally written before 1893, by sisters Mildred and Patty Hill. The rights to the song were later transferred to Summy Co., which was later acquired by Warner/Chappell. For decades, Warner continued to demand licensing fees from filmmakers and other artists who used the song in their works. In 2013 a group of artists including musician Ruypa Marya sued Warner’s music division claiming that the company doesn’t hold the rights to the song. Aside from missing agreements, the filmmakers alleged that it’s not clear what the true origins of the song are. Before even reaching a trial, Judge George King awarded a groundbreaking victory to the plaintiffs. After a careful review of several agreements the court concluded that there is no evidence that the Hill sisters ever transferred their rights to Summy Co.
“Defendants have no evidence a transfer occurred, whether by oral statement, by writing, or by conduct. The Second Agreement was for piano arrangements. The Third Agreement was for copyrighted works, like Song Stories and the piano arrangements, that did not cover the lyrics,” Judge King writes (pdf). According to the court there is no evidence available to conclude that the copyrights to the lyrics now belong to Warner. As a result, Judge King ruled that Warner/Chappell doesn’t own the copyright to Happy Birthday, which means that the company can’t demand licensing fees for its use. At this point it’s still unclear whether any of the artists will be compensated for the licensing fees they previously paid. Ruypa Marya, whose band paid $455 because the audience sang “Happy Birthday” on a live album, hopes that the ruling will trigger a more artist-centric copyright law. 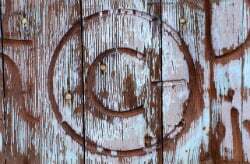 “I hope we can start reimagining copyright law to do what it’s supposed to do — protect the creations of people who make stuff so that we can continue to make more stuff,” Marya told AP. Warner/Chappell says it’s still evaluating the judgement and hadn’t decided yet on a possible appeal. * Update: Technically speaking Happy Birthday is now an orphan work, not completely public domain.